Let it not be said that these fellows are the only ones who can wax poetic about negatives in Overwatch. SilverWolf can, for example, and OrangeyBlueInk, and even Medic. But this article is different. 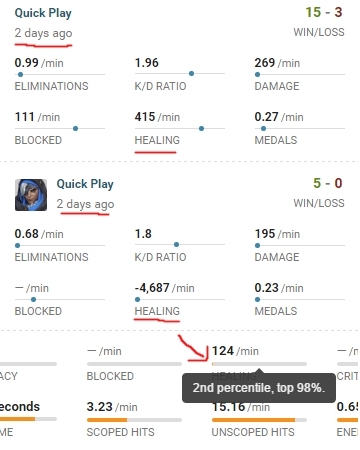 It’s all about literal negative numbers in Overwatch, values that are usually impossible but for whatever reason have managed to show up where players least expect it. None of them were intentional, and in most cases Blizzard has already patched them. It’s a slow news day. 1. Negative Ultimate charge! If you’re tired of getting Play of the Game as Bastion, you can intentionally self-damage yourself while in tank mode, and then heal this damage with your Repair ability. Nowadays, this just makes you look wasteful, but once upon a time it would subtract ultimate charge, leading to potential negative values. There’s also at least one report of this happening with Lucio, though nobody’s sure what the player did to make it happen. Don’t worry, you’ll probably still get Play of the Game. 2. Negative currency. This is one of the most sinister on this list, as its a widespread console bug that has caused a lot of anger among the players afflicted. 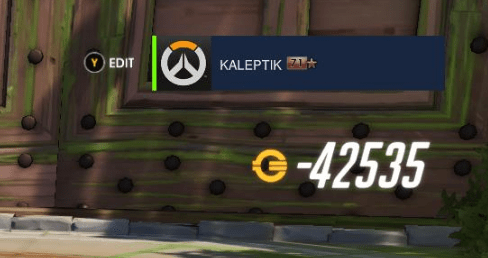 Currency is hard enough to come by due to the loot box system, but for some reason certain players are hit with something akin to a chargeback upon the conclusion of a special event like the Summer Games or Halloween. This problem has persisted to the present day, and I truly hope Blizzard can figure out what’s going on because the loot system is already rigged enough. 3. Negative Stats. For a few months players were being hit with a bug that reported negative stats from their most-recent played games. This carried over into their career profiles, and the negative values were way, way larger than what you’d get from an ordinary match. This player lost almost a week’s worth of kills on his main in a single day. There have been no reports of this happening for months, so whatever the issue was it appears to be resolved, but the affected players’ stats just had to take the hit. 4. Negative Competitive Rating: This player lost 233 games and only won once when he finally hit the rock bottom and his SR dropped below zero. When that happened, he immediately became the Grandmaster highest ranked player in the world. Kneel before your new god! This was likely an underflow error in the stored data value, kind of like the one that created the genocidal nukaholic Gandhi of Civilization fame. Was Blizzard unaware you could even reach an SR of zero? You’d almost certainly have to be trying to lose all your games in order to get that far down. They eventually fixed the problem and the leaderboards are saved, and tomorrow we will learn whether he still managed to earn the exclusive Top 500 spray.